RHYS BOWEN: Within the last week or so I finished next year’s Christmas book in the Molly Murphy series. It will be called The Ghost of Christmas Past. And also the paperback of last year’s book, Away in a Manger, has just been published (can you say stocking stuffer?) I love writing these books because they give me an excuse to go back to the past and experience the Christmas of long ago. I suppose like many of us, I think back with nostalgia to the Christmases of my childhood. They weren’t nearly as grand as the country house party that Lady Georgie attends in my other book, The Twelve Clues of Christmas, but they were extremely satisfying because of all the small traditions and expectations, repeated each year. The week before Christmas we’d go carol singing around the village and be invited in for drinks and goodies. We would drive to my grandmother’s house on Christmas Eve, bringing with us the Christmas tree (trees were smaller in those days and I suppose we must have strapped it onto the roof of the car). We’d decorate it while my grandmother served hot punch and mince pies. We’d string paper chains around the house. After supper we children would be put to bed, but of course we stayed awake, hoping for a glimpse of Father Christmas. At midnight the grown-ups went to midnight mass at Bath Abbey. I couldn’t wait to be old enough to join them. It was magic sitting in that beautiful building, listening to the choir singing those wonderful hymns and then walking home through the frosty night, our breath coming out like dragon-fire. At home we were greeted with more hot mince pies and sausage rolls. Our presents appeared in pillow cases at the foot of our beds. We opened them at first light, sitting up in bed surrounded by wrapping paper. I suspect we ate the sugar mice right then. I’ve been longing for another sugar mouse ever since! The presents in my childhood were nothing like today’s gifts: a sweater, a book, and in my teens a long playing record ( I guess that dates me horribly.) The day itself was simple—highlighted by the turkey and the Christmas pudding, brought flaming to the table at lunch. Snooze afterward then the magnificent Christmas cake, frosted to look like a snow scene with little porcelain figures on it. And small presents had miraculously appeared on the tree and were handed out after tea. We children were required to put on some kind of entertainment—a pantomime or charades. Then a cold turkey supper and bed. It sounds almost boring now, but it was special because our lives were so much simpler the rest of the year. It was the only time in the year we ate turkey, or dates or saw tangerines in the stores. Today when everything is available all the time and we have so much more, it’s hard to create the thrill of treats. We try hard—that’s why stores start blaring Christmas music at us in October. We up the ante by requiring bigger and better presents—remember the ad to “put a Lexus under the tree?” Right. We want that feeling of a special occasion but we don’t know where to find it. I’ve gone looking for it myself on several occasions—one year we rented a cabin in the snow with friends. We arrived to a picture perfect Christmas card scene. We awoke next morning to rain. It rained non-stop all week. No snow, no skiing, just bored children imprisoned in a cabin with no TV, playing endless games of cards and charades. “So did I,” one daughter said. “I did too,” said another. And laughing we handed out real, store-bought gifts. I guess we’re not Little house on the Prairie after all. So how about you? Do you still have nostalgia for long-ago holidays? Do you seek to recreate them? The Christmas season is always a special, magical time. I love the lights, the decorations, and the music. I think I’m more nostalgic for the people who made those long-ago celebrations so special. In our family, we’ve taken bits and pieces of our childhood celebrations and traditions and put them together to create a holiday celebration unique and special and meaningful for our family . . . .
Rhys, what a beautiful description of your Christmas as a child. What I love about that description and what I've always loved best about Christmas is the gathering of the family, people sleeping in close quarters, but all under one roof. The decorations, of course, are magical, with the twinkling of lights, multi-colored and the white ones. I'm a big fan of twinkling lights, and I have some white ones year round in the guest bedroom. I grew up in a family of four children, and with being ten years younger than my oldest sister, there were grandchildren for my parents and nieces for me by the time I was 12 years old. I loved all of us bunched together in one house. The food was spectacular, with country ham that my father had cured himself, turkey, dressing balls, mashed potatoes, gravy, scalloped oysters, corn pudding, frozen fruit salad, asparagus casserole or green beans, rolls, jam cake, and transparent puddings. There was always plenty and always leftovers to warm up. I know that I will never find something I like better to eat than my mother's dressing balls warmed up in gravy. And, oh the presents were piled high with all of us together. We sat around the tree and opened our gifts to one another on Christmas Eve with Christmas music playing and everyone shouting out with excitement what treasure they'd just opened. Then, Santa came on Christmas morning, which kept getting more exciting as my siblings had kids. We spent my daughter's first Christmas at my parents, but then decided to start our own Christmas traditions at our home, four hours away. Stupid, stupid me. I missed out on my favorite foods for at least six years that I could have still had them. My father would always go to church on Christmas Eve, and we went a lot of the time, but it became complicated when more grandkids kept showing up. One of my greatest pleasures when my kids were growing up and we had our own Christmas as a family in my husband's town was getting the Santa presents out and fixing the stockings on Christmas Eve. I miss doing that. And, we'd make fudge for Santa and sit it out. Yum, it was good to be Santa. We'd eat at my parents-in-law on Christmas Day, and the food was quite excellent there, too. Now, we go to my daughter's family home for the Christmas Day meal, and it's fun seeing the granddaughters open their presents from us and show us what Santa brought. For some reason, I'm wanting to go make fudge now. Maybe tomorrow. It's 12:51 a.m. here. Our family did a modest Christmas celebration since we were a small gathering of 3. We did set up the Christmas tree, and there were presents for me as a child. And we did cook and eat turkey with stuffing but with none of the other elaborate side dishes or desserts that most people have. But the one item our family really looked forward to receiving was a Christmas parcel from my Japanese grandparents. Thank goodness Canadian customs was not so strict in those days. We got fresh fruit (mandarin oranges in a crate), Japanese candy (Pocky) and usually a cool toy for me. I know I was the only kid in Toronto who had a battery operated Godzilla monster doll whose eyes glowed red and that "breathed" fire! Many Jewish families in Beverly Hills had Christmas trees, and my family was on of them. A BIG tree that my dad usually had to cut the top off to get into our high-ceiliinged entry hall where it would stand. We'd buy the tree the 23rd, decorate it at night on the 24th, and wake up to it for the first time Xmas morning. It was magic. It was nice, but (is it all right to say this?) I'm not a big decorator or into traditions, so our current much simpler not color-coordinated **good food and simple gifts and people we love*** holiday (a blend of Xmas and Hanukah) is perfect. Growing up, I loved getting to stay up late enough for Midnight Mass, usually with one of my mom's many sisters and her family. One winter it was so cold my uncle threw a glassful of water onto the sidewalk next to their house to see if it would freeze on contact (it did). That year my sister and I had matching red velvet outfits, little jumpers with white blouses under, so cute. Christmas morning was tough; we always had to wait until our parents were up before we could turn on the tree lights and start opening gifts, and sometimes we had to wait until Mother put the turkey in the oven. In the early afternoon we'd have our Christmas dinner at home, using the lovely deep green Harker china my mother saved just for holidays. (And which I now have.) Later in the day, our grandparents would stop at our house with gifts, on their rounds of all their many grandchildren. We'd go to the other grandparents for dinner, and exchange gifts with our cousins who lived across the street from them. In other words, everyone lived close by. Even when my parents were in dire financial straits and couldn't afford to get us much, we still had lots of presents thanks to grandparents, aunts and uncles. And like Rhys, it was the only time of the year we ever saw oranges; I thought opera creams were only available at Christmastime, too. Ribbon candy still is, isn't it? I used to go all out, decorating, baking, and having a holiday party between Christmas and New Year's. Now, I buy a wreath for the entryway, and a poinsetta, and call it done. We almost never have anyone here for Christmas now, since the kids are scattered. Thanksgiving is our big holiday, and I usually give everyone their gifts then. We had oranges in the toe of our stockings! And those Droste chocolate apples that you whap and they would break into pieces. Every single Jewish family in Zionsville Indiana had a tree… I know that, because we were the only Jewish family in Zionsville and we had a tree. We celebrated everything you could get presents for, and we were always cranky when mom wound up giving us something like gum on the last night of Hanukkah. We would argue every year that the tree should be only red bows, or only white lights, and then we'd start sneaking "just one favorite ornament " on it until we just gave up and put on all of our usual stuff.-- including the angel made of a cornhusk. 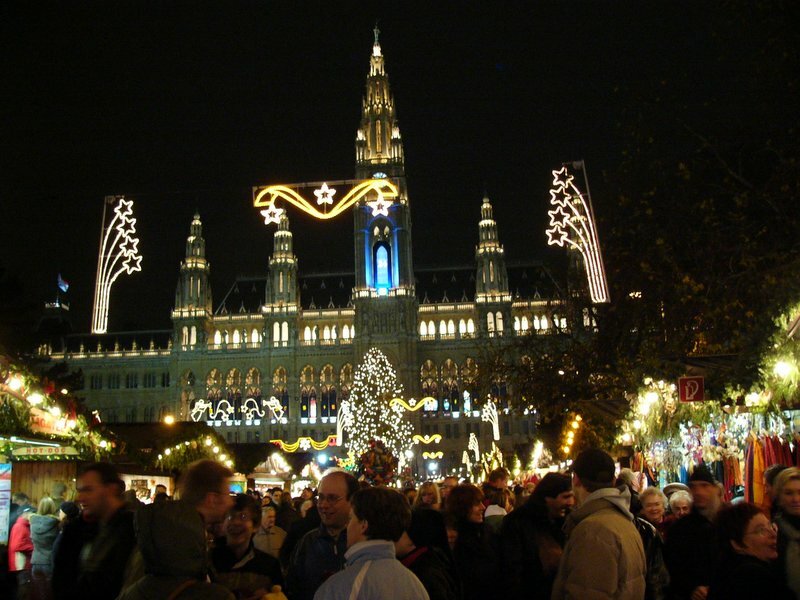 There are as many Christmas traditions as there are families and their access to hard liquor. My Santa days occurred during WW2, in a little town in NE Kansas. I was the only grandchild at that time, and every Christmas Eve my teen aged aunts would whisk me upstairs to watch out the north window for Santa. We'd hear jingle bells and ho ho hos and the rattle of paper and packages and the smell of a pipe, suspiciously like my grandfather's. I'd hear my grandmother scolding Santa for getting snow on the carpet, and then a hearty Good Bye til next year. I was then allowed to run down the stairs (snow on carpets would have melted by morning) and there was the tree, piled high with gifts, and big snowy foot prints leading to and away from it. I remember my present that year was a record player, obviously used, no speakers, so it had to be hooked up to the radio. It was my best Christmas ever. My mother tried to recreate the foods from her childhood Christmases--and food was always special throughout the Christmas season--there would be oranges and apples and grapes and nuts of all kinds--homemade fudge with black walnuts that we would help my mother gather and crack from our trees. A ham was always the centerpiece of Christmas dinner and the table would be groaning from sides. But, like Joan, what I miss most from Christmases past are the loved ones no longer with us. So I focus on the present--a tree, stockings for the boys, a ham and their favorite fixings for dinner, that same homemade fudge (sorry, no recipe--just eyeball the ingredients), and their favorite cookies. And an open door for family and friends. Kathy and Karen, such beautiful descriptions and a similar feeling to my own childhood. The one thing I didn't like about Christmas Eve as a parent was sitting and assembling toys that came with instructions in poorly written Chinese English. "Now putting spring A into capsule B". The air was always rather blue by the time we had finished! Hank and Hallie, our next door neighbors and good friends were Jewish and had a tree. I think that was because Nancy's parents came from Germany and brought the tradition with them. There son Michael was the same age as our Dominic and a bit of a boaster. Every day of Hannukah he'd burst in saying "Hey Dominic, guess what I got for Hannukah today? My own TV set." Always something really impressive. On the last day of Hannukah Dominic heaved a sigh of relief. Then Christmas morning, "Hey Dominic,, guess what I got for Christmas". "It's not fair!" Dominic would complain. Ann, what a perfect and elaborate Santa creation for you. One thing about raising kids in California is that there is never snow. And F Church you are right: Christmas is thinking about the loved ones no longer with us. And I make mince pies. Grace, what fun to receive those packages from Japan! We always got a parcel from my uncle in Australia but it was rather boring, usually books on Australian animals and countryside. Love this thread--thanks Rhys! We definitely had ribbon candy, I remember because it would get stuck at the bottom of our hand-knit stockings. My aunt made them for us and they had fuzzy white yarn on the part that was Santa's beard, and our names across the top. There was always a major production about going to pick out the tree, which John and I continued until moving to Key West. There are some trees shipped down here but the long distance and the heat don't do much for retaining needles! We always had extended negotiations about what time the adults had to get up Christmas morning to watch the kids open presents (piles and piles of them!) I don't have any ornaments from my nuclear family, but we still have homemade ones from when our kids were young. They are hideous, to be perfectly honest, but I'm only allowed to throw out the styrofoam snowmen if they've grown moldy LOL. My Christmas memories are a pastiche of my heritage. We split our time between my mother's French relatives (great-grandparents) in a farm in upstate NY, my mother's nearer relatives (cousins on her father's side) Italians in Westchester County, NY, and my father's German relatives (also in Westchester County). The great grandparents had the best Christmas. The farm was straight out of 1900 - utilities cost money and farmers were not flush, so it was very rustic and rural and included things like a horse drawn sleigh, cutting the Christmas tree, Yule log, and learning how to bake in a Queen Anne stove (yep, can do). 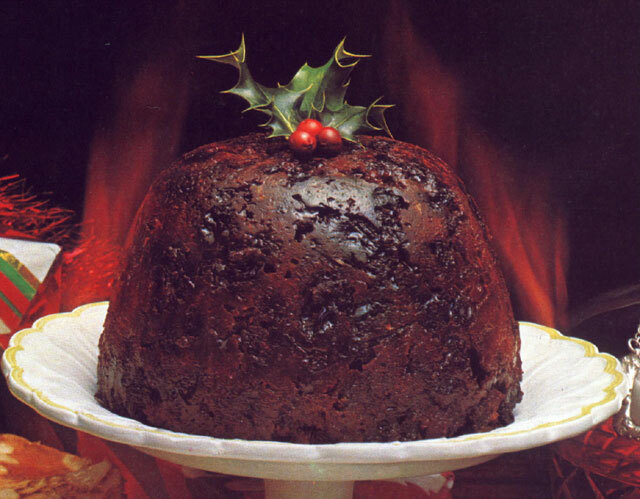 All gifts were handmade, oranges were always in stockings at the foot of the bed, and you could tie one on with the Christmas pudding! The tree often included natural ornaments, like bird nests. In later years we went to my mother's Italian relatives every other year alternating with my father's relatives. At mother's we had midnight Mass and the Christmas Eve white dinner (no color in anything) I remember it included salted cod salad, but that's as far as memory goes. We got up early and dove into presents. My Dad's parents were German. We were treated to a wonderful dinner of schnitzel and kraut with spaetzle on the side and always a wurst or two. The men drank beer, the kids stole sips. We had no tree. When we woke Christmas morning there was a magnificent tree decorated with mouth blown ornaments my grandparents brought with them from Germany and piles of presents all wrapped in white for some reason. Santa Claus brought the tree when he delivered the presents. The most fun part was they still had candle holder ornaments and after Christmas dinner, my grandfather and father would bring in buckets of water and sand and then they would ever so briefly light the candles and turn out the lights and we would sing O Tannenbaum. Kail, what an amazing childhood! You got the best of every Christmas tradition. 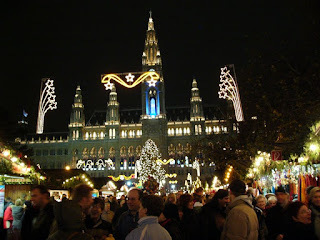 I too spent a Christmas in Germany and loved the simply decorated trees with apples and straw stars and real candles (so dangerous with those straw stars). I love German Christmas cookies! Gee I miss my neighbour's mince pies and tarts! Rhys, what a lovely essay. Your childhood Christmases sound wonderful. I adored Christmas when I was a child (still do.) It was always at our house. My maternal grandmother lived with us, so my mother and grandmother were the head cooks. Usually I had my maternal cousins to look forward to, and sometimes my two favorite cousins from my dad's side of the family as well. My dad loved Christmas. We fought my mom for years over keeping a real tree. She eventually won the battle for an artificial tree, but by that time I was grown and gone. My dad and I always bought and decorated the tree together, with help from my grandmother. My dad and grandmother were the wrappers, too, so I learned how to wrap presents early. We still do things pretty much the same way on Christmas morning, and it is so wonderful that we have our kids (and now baby Wren!!!) right next door. For a long time we went to my aunt's for Christmas dinner, but the last couple of years we've kept Christmas at home. I love being home all day with just immediate friends and family, cooking and lounging and visiting. We'll probably do roast beef rather than turkey again, but we'll have Christmas crackers and hopefully Christmas pudding, along with some traditional American pies. Love the stories from everyone! One of my favorite Christmas traditions as a child was the Advent Calendar. In the mornings, I would open the flap to see the drawing behind the little "door". Loved creating Christmas decorations as a child in grammar school. Our family went to see Nutcracker ballet every year during the Christmas season. We also went to the Dickens Christmas Fair with my Mom's high school English class. I loved dressing up in Victorian costume, which I created out of my every day clothes. We had a Christmas tree and loved decorating the tree. Even after I learned that one set of my grandparents were Jewish, we continued to celebrate Christmas. For Hanukah, we got chocolate gold coins. For a while, the American Conservatory Theater used to have Sign Language performances for A Christmas Carol and we would go every year. Now we go to my favorite coffee cafe where I get peppermint mocha. Yummy! My cousins make this wonderful Yule Log dessert. One of my new traditions is watching christmas movies on the Hallmark channel. About Dominic, he could always tell Michael that with 12 days of Christmas, he gets 12 gifts instead of 8 Hanukah gifts! And I love your Christmas of the past. I was reminded of a movie, The Holiday, with Kate Winslet, Jude Law and Cameron Diaz. That is one of my favorite Christmas movies. And I love handmade gifts! One of my favorite gifts is a quilted vest that a relative made for me. I love Christmas newsletters because I have amazing friends. I get what you mean about getting little extras at the store. My grandparents had big Sunday brunch on Christmas mornings, regardless of which day Christmas was that year! That is really cool about receiving gifts from Japan! My Jewish grandparents celebrated Christmas with Christmas tree and everything! I love the music at Christmastime too! Your christmas traditions sound great! Fudge! Yummy! And I love stockings too! My 6th grade class created stockings and I still have the stocking that I made! Love Christmas wreaths. I used to go to Midnight Mass with a friend to the Unitarian Church in college. Seeing Santa is one of my favorite Christmas memories! Wonderful memories of food at Christmastime.Love the open door for family and friends! Love homemade christmas ornaments! Is ribbon candy like peppermint? 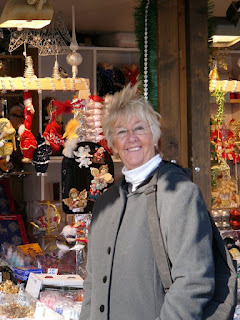 So many wonderful Christmas traditions from your French, Italian and German relatives! My grandmother lived in California and opening her Christmas box was a huge event: a bag of shelled walnuts, dried money plant, and new dresses she had made for each of us. We've added traditions over the years: Advent calendars with chocolates for each day, Christmas crackers, a sumptuous Christmas morning casserole with eggs, potatoes, sausage and cheese from one of Diane Mott Davidson's books. Last year we spent Christmas in Houston, and walked around the Heights every evening admiring the Christmas lights. When I think of my childhood Christmases, I usually think of the enormous real tree that we put up and trimmed. It's memorable because it was beautiful and the process was fraught with anxiety. My childhood home (where my mom still lives) has very high ceilings, and every year we would get a tree that would be approximately 10-12 feet high. Access to the top boughs could only be reached via extension ladder, which my father would climb as it creaked and squeaked. One of my sisters would run into the kitchen not wanting any part of the impending disaster, and the rest of us (me, two other sisters and my mom) would grab the bottom and hope we could hold it in place. Very stressful indeed! The end result was always beautiful, however! Kait, good thing my family isn't German or we might have found my dad in heap under the tree on Christmas morning! My mom has adopted a more modest tree approach, but many of our traditions remain: Reading "The Night Before Christmas," watching the Grinch, and all the grandchildren get a new pair of pajamas from Nana on Christmas Eve. A few years ago I started contributing baked French toast to the Christmas morning spread (and spread is the right word if you saw the ingredient list,) and I love my mom's baked stuff shrimp for Christmas dinner. Good heavens, Margaret! I live in the Heights in Houston. One neighborhood, Woodland Heights, goes all out. My husband and I take our moms and little brother driving through River Oaks (the super rich area) every December to see the elaborate light displays and decorations. Quite something. Diana, now I'm longing for peppermint mocha. ANd I've never even had one! My growing-up Christmases in California was quite different than those already described. Our Christmases were split between my house and that of my aunt (mother's sister). We lived in southern California, aunt and uncle and two cousins lived in Pebble Beach, next to Carmel (near Monterey, CA). So it was four adults and four children, of which I was the youngest. The best Christmases were the ones in Pebble Beach at aunt and uncle's house. It was in the pines near the ocean, it was a wonderful house with a huge stone fireplace, large living room with lots of books, lots of places to walk. We drove there four or five days before The Day, a seven or eight hour trek, the trunk of the car full of wrapped gifts as well and our suitcases. After we arrived, my uncle and I would go get the tree, which we cut in a designated area of the forest. Then after it was blasted with water to de-bug it, and shaken dry, we would put it up and the family would decorate it. No gifts were in evidence. There was little to do other to anticipate Christmas day, I walked a lot, exploring the woods and the shore, and read, especially the set of Pogo books there in the house. On Christmas eve, after dinner, my uncle read the Christmas story from the Bible, and then about 9pm, then the children were sent to bed. There was a coo-coo clock in the house, and I would lay awake counting the hours by it until finally I fell asleep. The adults were up late putting the gifts under the tree and having tea, coffee or something slightly stronger. We children were allowed to go downstairs to get our stocking at 6am, not a minute before, and take them back to bed to look at the contents. Then at 8 or so, when the adults were up we had Christmas Breakfast, always pastries from Berkholm's, a bakery in Solvang. Only after breakfast was finished, including coffee drunk by the adults, often more than one cup, and the dishes washed and put away did we all move into the living room for gift opening. It was so hard to wait! Gifts were handed out one at a time by the designated child, and each one was admired, it's tag read aloud, then opened and appreciative words said before the next gift was handed out and the process repeated. It took forever, it seemed, especially as my aunt was a dedicated paper-saver, insisting packaged be carefully, gently opened, and the paper not be torn, then folded carefully for the future. Finally, all the gifts were opened, and the children excused to use/play with/enjoy their gifts, the adults would retire to the kitchen and prepare the Christmas dinner, usually turkey et. al. The routine when Christmas was in So Cal was about the same, but it was often much warmer. I remember Christmas days when it was 90. Christmas dinner was eaten in the mid afternoon, then more laziness (perfect reading time) until in the evening leftovers were available (turkey sandwiches!). I don't remember any special desserts, or drinks, or other activities. Just it being Christmas was enough. My Christmas growing up in what is now called the South Bay of California with a Southern Mother was really different. Christmas decorations came out the weekend after Thanksgiving and everything was put up in the first week of December... regular pictures were taken off the walls and knick knacks put away to be replaced by the holiday ones. Every doorway in the big living room had a garland, every wall a wreath, and all themed. The tree went into the center of the room and matched the theme. We had no family nearby, so we celebrated with friends. We gathered on Christmas eve in our best clothes - the adults with their cocktails or egg nog that was freshly made (and very adult) - and we opened all the gifts under the tree, the only gift from our parents being matching pajamas. Dinner followed and was formal - china, crystal, white tablecloth - and was usually roast beef with all the trimmings including Yorkshire pudding. After clean-up and the setting out of champagne for Santa, we children were sent to bed. In the morning presents from Santa were under the tree on our designated side...unwrapped... and we could play with those quietly until our parents awoke. Monkey bread was put into the oven and coffee made. Only then could we open our stockings - they had the most important gifts. The 4th side of the tree (there were 3 of us kids) held "family gifts" usually a game and a craft activity or an envelope with tickets to an event like the circus. Playing the new game took up the afternoon and then leftovers were nibbled throughout the day - no real meals were served. Decorations stayed up through New Years Day, and on Jan 2 everything was restored. These days, we do very little - no kids - and it seems silly to go to so much work for a few weeks. I do put up a Christmas village - mine is Lego - and lights on the outside. Christmas tablecloths and a wreath complete the decorations. Merry Christmas & Happy Hanukkah to all! Love the comments! Wonderful Christmas traditions. Even if I cannot always get a tree, I get a wreath each year! One of the things I love about Hallmark movies are the Christmas decorations and the clothes!